Printing at home is fast and easy so it makes sense to stay stocked up on paper so you’ll never be caught short. If you need to keep physical copies of contracts or other important documents, you’ll need paper to print them on. Printing out notes at home to pass around in business meetings can save time, so always ensure you have enough paper so you never run out. If you rent out a house you’ll need to print out your agreements before your tenants can move into the property. Printer paper comes in a variety of different sizes and qualities. 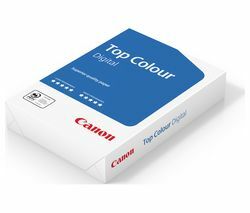 The most common size is A4, which is suitable for most printers, however you can also get a range of different styles including high quality paper that’s thicker than normal paper. If you want to reproduce your favourite photos you can get photo lab quality paper. Check out our complete range of photo paper if you have a high-end printer that can produce photo quality prints. If you regularly print out sensitive information you should take a look at our shredder range. Whether you need to make copies of important documents at home or at work, it’s a good idea to stay stocked up on printer paper.